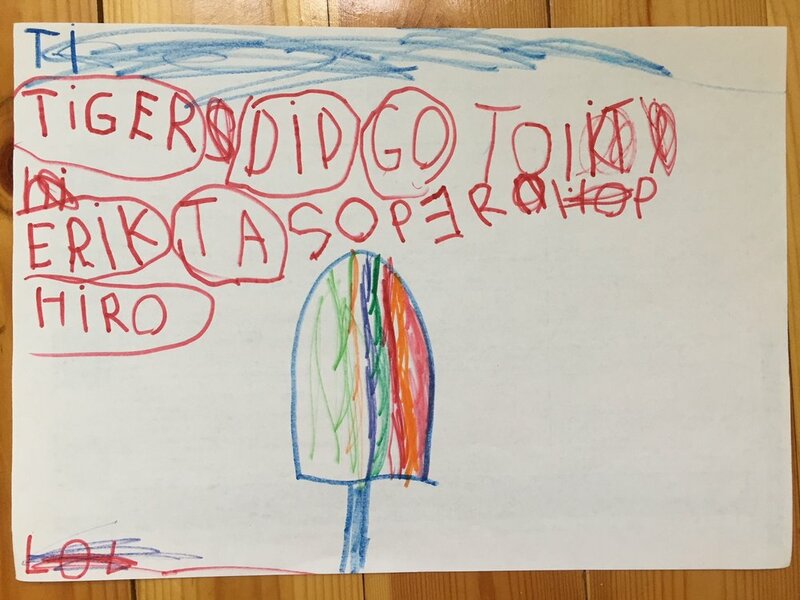 Amanda Sainsott and her class of 2nd graders from Manhattan, NY have started an exchange with Arlene Tucker and her 1st graders in Helsinki, Finland! The letters were full of warmth, excitement, and unexpected details about themselves and where they live. Such great questions they asked! The students also included pictures they drew. We could catch a glimpse of what their homes look like and where they like to play. Reading their letters made me want to go visit all the lovely parks, zoos, and experience the bustle of the city myself! Let’s see where the conversation and collaboration will go! Mata sings while making scratch art for the Layers of Love project. 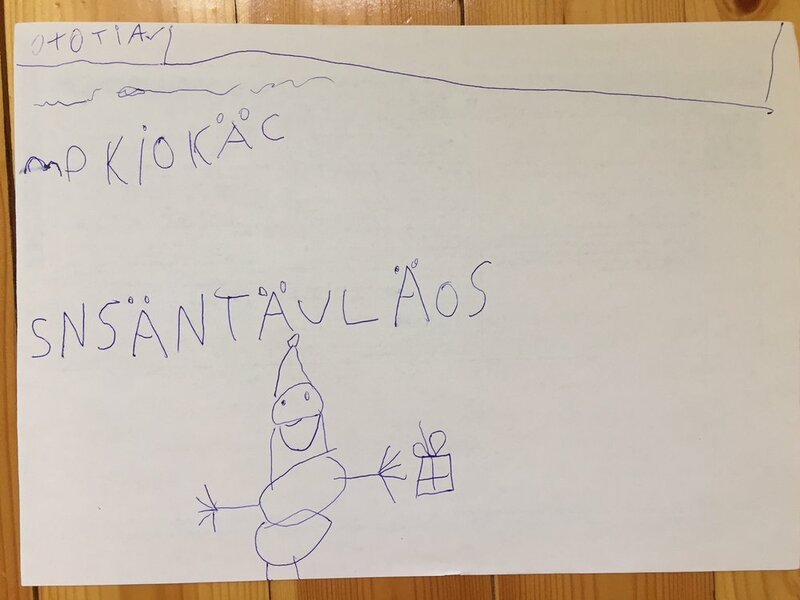 With love from Brooklyn, NY to Espoo, Finland! We enjoyed creating our abstract painting, without using a brush, while listening to music. We were unable to walk around and find natural items to paint with so I put out drinking straws, Q-tips, and wooden popsicle sticks to paint with. 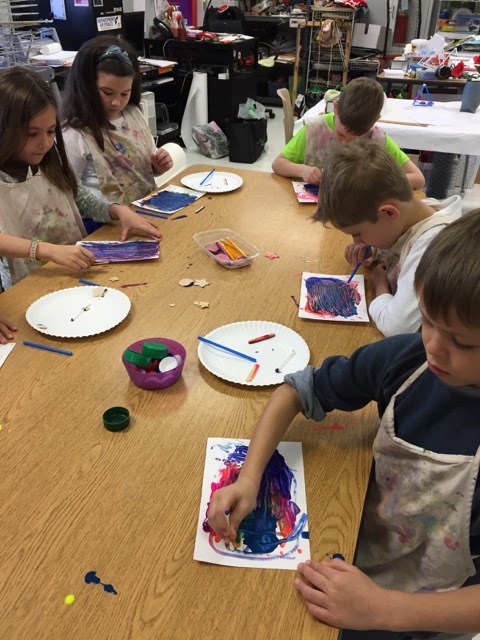 We listened to the music then I demonstrated a few ways to use our new painting tools. The children had a fun time listening to the music and painting. 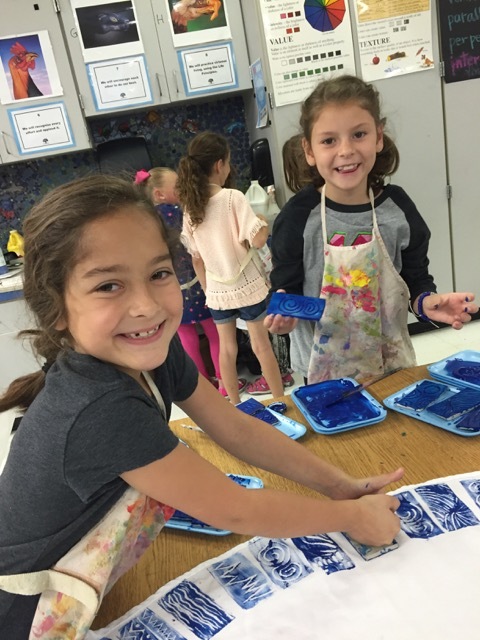 The 2nd graders at Amy Parks Heath Elementary School in Heath, Texas are making and sharing with the 1st and 2nd graders at Grunnskóli Fjallabyggðar in Siglufjörður, Iceland. The day after a big storm in Siglufjörður we went out to see what the wind had brought us. The ground had been all white the previous days because it had been snowing every day for many days. But that morning the snow was not white, it was covered with pine needles and branches from trees and all kind of stuff that the kids picked up. When they were painting they were thinking of the sound of the storm which brought us all this. We had all kinds of sounds, whispering, whistling, banging and heavy/vigorous sounds. Below are pictures of the artist's work and also one picture taken before the storm, where the kids in 1-4th grade are outside by their snow-fort. As you can see spring has not come here yet, though we have had good weather the last days. What am I? Oh what could I be? We first started the workshop by playing a riddle game. This got our brains thinking about how can we tell things about an object without giving it away! From there we went into the world of senses and on this adventure- it was all about taste! We thought about what foods are local to Nordic countries and what foods are not. It seems that most of Your School's artists love picking berries from the beautiful forests of Finland! Can you guess what the Monkeys' and the Tigers' favorite foods are? 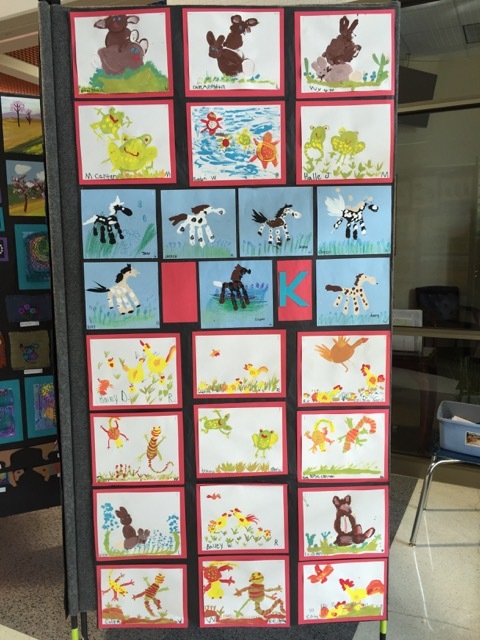 The Tigers are 4 year old artists at Your School in Espoo, Finland. They are making and exchanging art with the Puppies, 4 year old artists at Just Kids School in Hanoi, Vietnam. The Monkeys at Your School in Espoo, Finland are making and sharing art with the Full Moons from Moonstone Preschool in Philadelphia, PA. Masks from Moonstone show patterns from across the Atlantic! The Monkeys in Finland were soooo happy to receive the masks from USA! As you can see, they went straight to fun times with the artwork from their friends :). The Full Moons from Moonstone Preschool in Philadelphia, PA are making and sharing art with the Monkeys at Your School in Espoo, Finland. My students used magnifying glasses to find interesting patterns on their hands and arms. We all made heart shape finger prints to see the different line patterns on our thumbs. Then I let them lose to create a mask with patterns they found on their body.